RUC man who shot unarmed PIRA man told doctor job had been "great until ceasefire"
A police officer who shot dead an unarmed IRA man later told a doctor that his job had been “great until the ceasefire”, an inquest into the killing has heard. 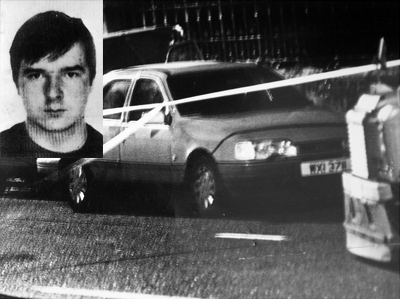 Pearse Jordan (22) was shot dead by the RUC’s elite HMSU unit on the Falls Road in west Belfast on November 25, 1992. Jordan had been driving a stolen car when it was rammed off the road by a HMSU unit led by sergeant `A`. As Jordan exited the car and tried to run away he was hit by three shots fired by `A`. He was fatally wounded and died a short time later. `A` claimed that he’d opened fire when Jordan had turned towards him convincing the policeman that he was about to open fire. However it quickly emerged that the 22 year-old was unarmed and had been shot in the back while trying to escape. In 2001 the European Court of Human Rights ordered the British government to pay compensation to the dead man’s family after it ruled that inquest procedures into the killing were flawed. In 2002 a legal challenge taken by the Jordan family resulted in the Lord Chancellor amending the law to compel soldiers and police officers responsible for lethal force shootings to attend inquest hearings. The Jordan family campaigned for an inquest into the killing for nearly 20 years before a hearing officially opened last month. Despite the controversial nature of the shoot-to-kill allegations, inquest proceedings have gone virtually unreported in the media. However the Detail can reveal that `A` has now given evidence, despite having previously refused to take part in proceedings for nearly a decade. In court this week `A`, who now lives abroad, said that he had previously refused to attend inquest proceedings since 2004 because of fears that his identity would be revealed. A number of police officers involved in the fatal shooting have been granted anonymity. `A` had failed to attend the inquest when called as a witness earlier in proceedings, but unexpectedly appeared to give evidence this week. The court was told `A` joined the RUC in 1973 as a 23 year-old and was promoted to sergeant five years later. In 1980 he joined the RUC’s Special Support Unit (SSU), an elite uniformed team which was trained by the SAS. 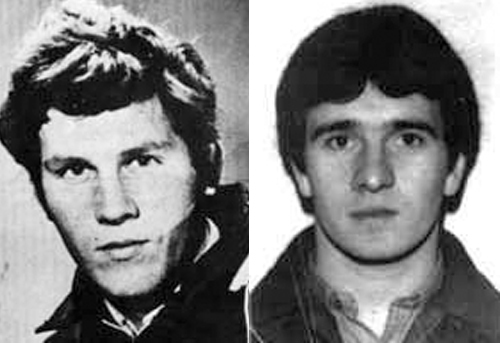 SSU was controversially involved in a series of alleged shoot-to-kill incidents in 1982, when six suspected paramilitaries were shot dead in three separate incidents in Co Armagh. The killings sparked outrage when it emerged that all six had been unarmed and that SSU officers – including `A` – had made false statements to cover up what had really happened. Following the controversy SSU was rebranded as Headquarters Mobile Support Unit (HMSU). The court heard that `A` had been chosen for the unit because of his calmness in dangerous situations and how he had taken part in hundreds of anti-terror operations and had been the leader of an RUC sniper unit as well as having trained VIP bodyguards. On 25 November 1992 `A` had been the leader of a HSMU unit in west Belfast tasked to support a surveillance operation against a suspected IRA bomb factory at Arizona Street. HMSU had a number of vehicles, including a red Ford Orion driven by Jordan, under surveillance. His unit had been tasked to stop the Orion as it drove along the Falls Road under the pretence that its rear brake lights were not working. `A` told the court that when his unit attempted to stop the car Jordan had sped off and a high speed chase ensued, ending when the police car rammed the Orion off the road. Seconds later Jordan got out of the car and tried to run away across the Falls Road. `A` fired five shots, hitting Jordan three times. `A` claimed that he’d shot Jordan when he turned as he was running away and he feared he was going to shoot him. However forensic evidence later showed that the 22 year-old was unarmed and – contrary to police accounts – had his back to `A` when he was shot. 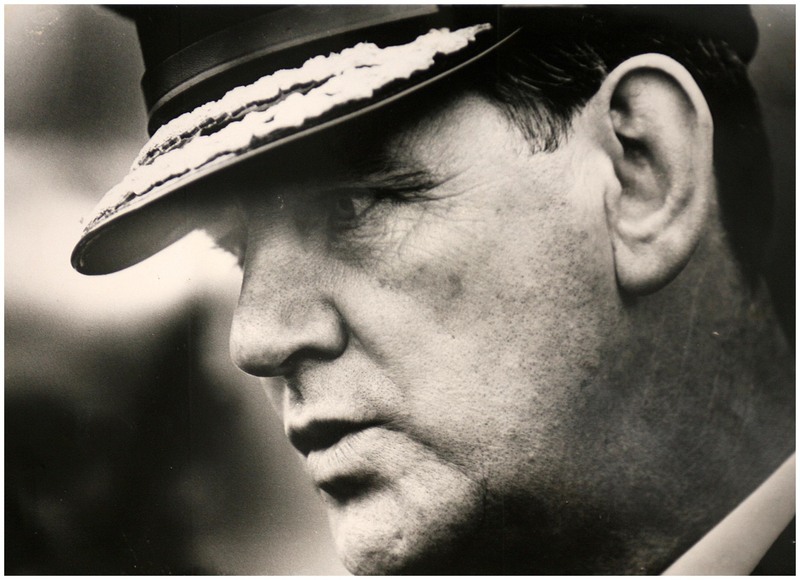 The inquest was told that `A` had described himself as one of the most experienced and capable armed police officers in western Europe in a personal profile which had been requested by then RUC Chief Constable Sir Hugh Annesley following the Jordan shooting. The court was told how `A` had been placed on administrative duties while an investigation into the fatal shooting was carried out. He also admitted to the doctor that he’d become “irritable” in his home life following his enforced removal from operational duties. He said that events prior to the shooting had involved a high speed car chase, which resulted in police ramming Jordan’s car, believing it was transporting a bomb into Belfast city centre. He described the Jordan incident as one of the worst professional experiences of his career, but denied that he had been wrong to the shoot an unarmed man. As part of his elite training `A` had taken part in live weapons exercises, which involved firing at pop-up cardboard figures of armed terrorists as well as unarmed civilians. However he rejected Mr MacDonald’s accusation that he had acted recklessly by opening fire on a busy road with civilians in the immediate vicinity. `A` had claimed that his vision of Mr Jordan’s full torso had been blocked by the police car from behind which he had opened fire. However evidence from forensic experts suggested that the position of spent cartridges and entry wounds on the body meant that `A` had in fact fired from the rear of the car with a clear view of Mr Jordan. He denied that he had discussed the shooting with two other HMSU officers as they returned to a police station shortly after the incident. “That just wasn’t the conversation we were going to have. The inquest was told that `A` had failed to mention that he had shot an unarmed man when he wrote an account of his actions that day in his police notebook, simply recording a “serious incident on Falls Road”. “Yes I had a notebook,” later adding, “but I didn’t make an entry because I didn’t like writing things down which (a) I might lose or (b) might fall into the wrong hands. The inquest was told that `A` had failed to mention the fact that he had felt his life was in danger during a HMSU briefing which took place at the police station an hour after the shooting. Despite his HMSU commander instructing him to go home `A` remained in the police station for six hours after the shooting. “I can’t explain that particular reason why I didn’t want to leave the building,” he said. The court was told that `A` had previously been involved in another alleged shoot-to-kill incident 10 years before the Jordan shooting. On December 12, 1982 `A` had been monitoring radio transmissions during an SSU (predecessor of HMSU) operation which resulted in the shooting dead of INLA men Roddy Carroll and Seamus Grew. 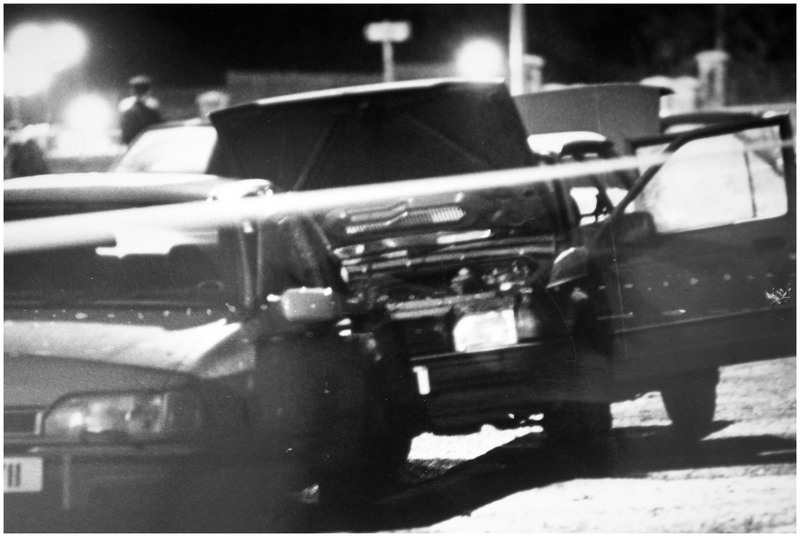 The RUC initially claimed the men’s car had crashed through a roadblock, hitting a police officer, and the two unarmed republicans had been shot dead in the high speed chase which followed. However, it subsequently emerged they had not crashed through any roadblock or knocked down a policeman, but were shot dead by the SSU while unarmed. It later emerged that HMSU officers – including `A` had knowingly given false statements to cover up the true events of the killings. “You were prepared to make false statements and tell whatever lies you were told to do so?” Mr MacDonald said – “That’s correct,” `A` replied. “That 1982 incident was a complete mistake," he said. However `A` went on to admit that he would have been prepared to lie if he had been called as a witness during his colleague’s murder trial. He said that his unit had been involved in helping with surveillance on a suspected IRA bomb factory at Arizona Street in west Belfast and tracking the movements of a coal lorry and two cars (one driven by Jordan). The court was told that `A` had only previously discharged his weapon on three other occasions during his time with HMSU, but had been heavily been involved in anti-terror operations. Questioned how many anti-terror arrest operations he’d been involved in during his career, he said: “Over 50 I would imagine. Lots, I really couldn’t put figures on it,” adding that he had been involved in dozens of operations to thwart bomb attacks. Rejecting the allegation that `A` and his HMSU colleagues had deliberately lied to cover-up the shooting of an unarmed man, he said: “No I think the opposite."